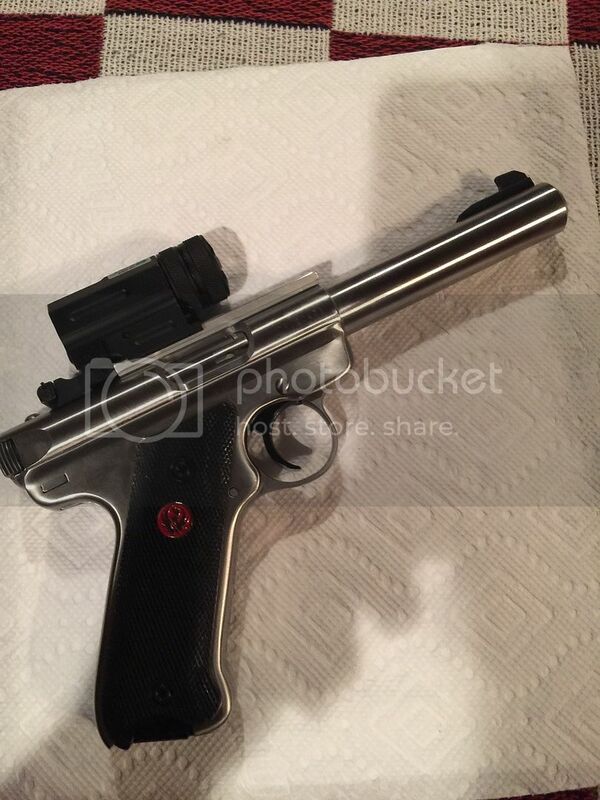 I have a brand new Ruger MKIII in stainless and I have yet to put a round through it. The gun cycled perfectly, no problems dropping the mag. I oiled it up a bit but saw no need in a strip since it is new. The gun sat for two days after installing the rail and today I picked it up and the bolt will no budge. Not even a wiggle. It is rock solid as if welded into place. I had cycled it after installing the rail so it's not like something mechanical happened (how could it?) I am stumped. I removed the rail thinking perhaps one of the screws was tightened down onto the slide. Not the case. Still as if welded. The rail is off now and the barrel screws have been left out for now. I'd like some expert advice here... What might have occurred is i put a drop of blue Loctite in the 3 holes for the screws that mount the rail. The only thing I can possibly think is the Loctite has "frozen" the slide? The rear screw hole extends down far enough to reveal a spring down there so it obviously might allow Loctite to contact the bolt. This seems impossible that a drop or two of Loctite would freeze the bolt solid and I could not get it to release by smacking the back of the bolt with a rubber mallet. I even used a wood dowel and hammer on the bolt "ears" of the bolt to try and tap it free. Nothing. I put on leather gloves and pulled as hard as I could. Not the tiniest bit of motion. Frozen stiff. Tried while holding the trigger and even the slide release. Did not make any difference. I even heated it up for about 15 minutes with a powerful blow dryer (So hot you could not touch with bare hands. I again tapped a the bolt "ears" with wooden peg and a mallet. Still nothing. Not the slightest wiggle. It is the weirdest thing. Did not attempt to strip as it is brand new and I would rather not mess with it in case there is some defect. 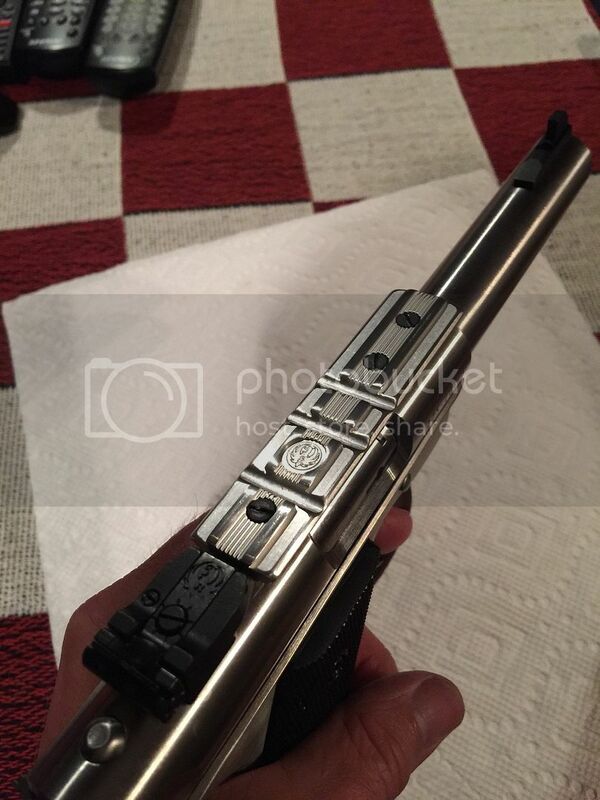 As mentioned, the mag releases with a clean drop but it can hang a tad when putting it in. Sometimes just needs a little wiggle. Looked at many videos and did tons of searches but could not find any info on a rock solid lock-up like this. Someone suggested a thin dowel down the barrel and tapping. Don't have anything that thin right now. Wonder if that would work or am I risking damaging something inside? Unless someone can chime in with some advice I will call Ruger and see what the return policy is on a new gun. I will feel stupid if it's some simple thing but cannot see anything other than the Loctite issue. Heck of a product! Yes, I should have used the paste version and not the liquid and yes, should not have put any in the hole (just on a thread or two) Not my first rodeo with Loctite. I restore old motorcycles and use it all the time. My first major goof with it. If that is what is really it??? 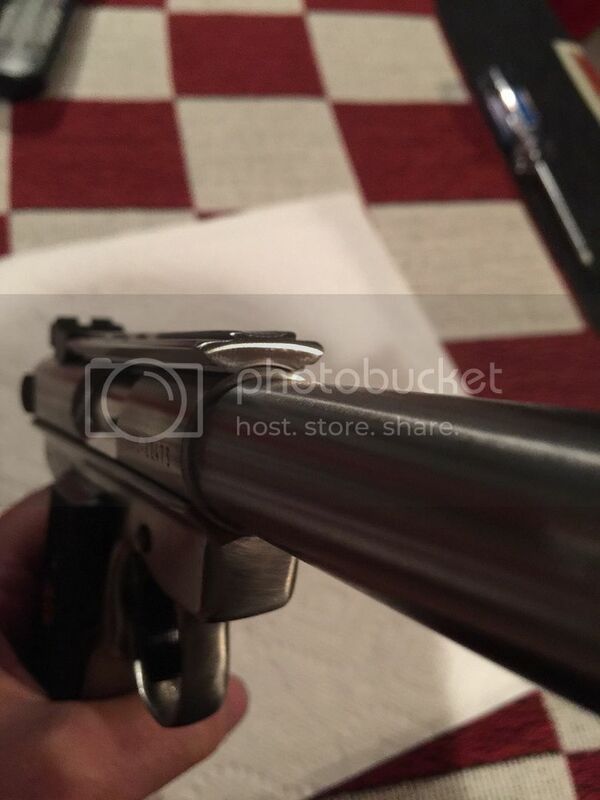 Re: Brand new Ruger MKIII locked up SOLID! It does sound as if your thread sealant wicked into the receiver and froze the bolt, especially if you had no issues cycling prior to installing the rail. You did a nice job shortening the scope rail. The sealant may not have actually locked the bolt but may have frozen the recoil spring so it couldn't slide on the guide pin. If the hammer is down I would remove the receiver and squirt some penetrating oil in and let it soak upside-down a while before attempting to open the bolt again. Did you checked to make sure your screws were not too long. They may be contacting the bolt locking it up. If the bolt was oiled the thread locker should not stick very well to the bolt.